Philly Case Company is a leading case manufacturer, building shipping cases for over 75 years in South Philadelphia, Pennsylvania. As one of the top shipping case manufacturers in the world, Philly Case builds their knowledge and experience into every case so that customers know their goods are safe in a Philly Case. 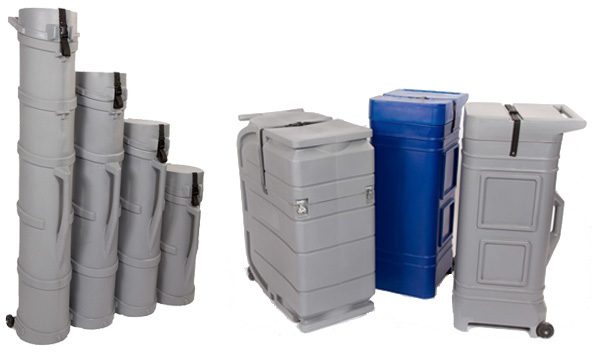 These molded lines of cases are ideal shipping and storage cases for the tradeshow industry. Need a podium packed? No problem! How about graphics or your entire trade show booth? We have you covered. As an authorized distributor of Philly Case, Ameripack can help you meet all of your shipping needs. Philly Case panel cases are the ideal solution for shipping trade show panels and accessories with complete protection. 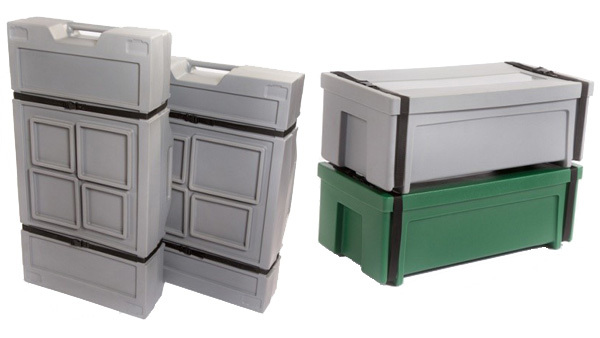 These panel cases are rotationally molded from polyethylene and for a long lasting, durable container. The cases come standard in a light gray color and feature a telescoping lid with 2 heavy duty straps so you can confidently secure your contents. 2 wheels, or edge casters, are molded into one side of the case for easy movement. We can also mold in your company logo or other personalized message, as well as offer custom colors for quantity orders. There is also an accessory case with internal dimensions of 24” X 12” X 8” that is designed to interlock with the panel cases to easily move your goods. Rotomolded from rugged polyethylene material, Philly Case Graphics and Podium cases are some of the strongest shipping cases you will find. These cases come standard in a light gray color with built in edge casters, and can be strapped together with extra straps to make moving multiple cases a breeze. The cases come standard in a light gray color. Custom colors and your company logo can be added to these cases as well on a quantity order. These rotationally molded Philly Case Jumbo Tubs are two huge size tubs that are ideal for shipping your trade show booth or storing and shipping any other items you need to protect. 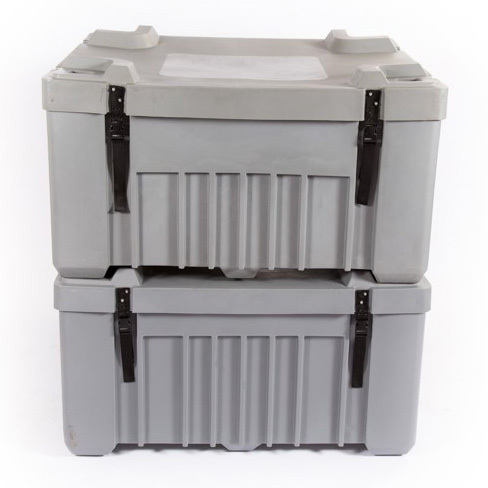 These tubs come standard in a light gray color and have 4 integrated ball bearing rollers on the bottom to make moving these cases around easy. Is your stuff too heavy to push around on wheels? No problem, the built in fork lift channels on the bottom of these tubes make moving around your warehouse as easy as can be. These tubs feature internal slots that allow you to compartmentalize your items inside and are stackable for easy storage. Custom colors and company logos are also available with quantity orders.